The anti-Russian rhetoric and fear mongering in the west has reached fever pitch in the wake of the attempted assassination of former spy Sergei Skripal and his daughter Yulia. British Prime Minister Theresa May expelled twenty-three Russian diplomats in retaliation for what she pronounced to be President Vladimir Putin’s “despicable acts”. Britain’s Foreign Secretary, Boris Johnson took things even further when he drew parallels between Putin’s present-day Russia and Adolf Hitler’s Nazi Germany in 1936. In addition to the diplomatic response, NATO commanders are urging member states to bring more of their military units up to full combat capability. This is crazy stuff. Nazi beasts committing despicable acts! Sound the alarm! Mobilize the militias! Given the overwhelming combined military might of NATO’s 29 member states, the current panic is akin to an elephant being terrified of a mouse. It also seems just a tad over the top that there is such an emotional outpouring of grief for Skripal. After all, the man was an evil Russian spy who sold out his country to become a British double agent. His duplicity was discovered in 2004, and he was convicted and sentenced to jail in Russia in 2006. In 2010 Skripal was released to the U.K. as part of a prisoner-spy swap. Why Putin’s intelligence service would wait eight years to attempt to kill Skripal with a nerve agent remains a mystery. However, as one who was weaned on the James Bond genre of spy movies, I would somehow suspect that the life expectancy of a traitorous agent would be shorter than that of someone who ripped off the Colombian drug cartel. For western democracies who take such pride in our respect for the rule of law and the premise that an accused should remain presumed ‘innocent until proven guilty’ the rush to judgement in this instance is rather hypocritical. Yet in the Skripal case, as soon as it was pronounced – by British authorities that the nerve agent employed in the March 4 attempted assassination was ‘Novichok’, the case was essentially closed. At the time of writing, there was still no conclusive theory as to how the allegedly Russian produced ‘Novichok’ was administered to the Skripals, but yet we are to believe that the Brits know with absolute certainty that it was Putin’s hit-men that did it. As for Putin’s list of other “despicable acts” around the globe, perhaps Canada and the west should review our own resume before casting a barrage of stones. To wit, Russia has troops in Syria at the request of embattled President Bashar al-Assad. For the record, Assad’s regime is still officially recognized as the government of Syria. The U.S. has troops in Syria, illegally assisting anti-Assad militia. Putin has provided weapons and advisors to pro-Russian separatists in eastern Ukraine. Canada, the U.S. and other western countries have provided weapons and advisors to Ukraine as a counter to the pro-Russian separatists. If taking sides in another country’s civil war is despicable, then what is Canada doing there? 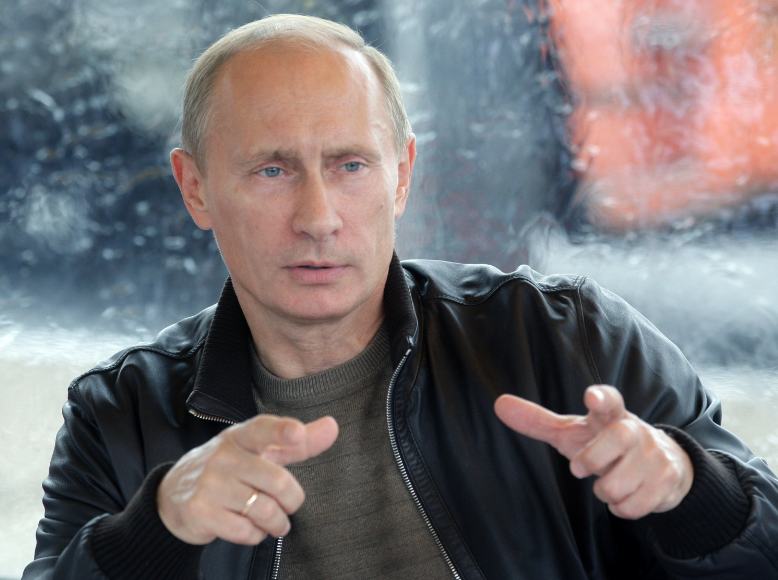 Putin annexed the Crimea after a virtually bloodless occupation and a referendum. Terrible. In 1999, NATO bombed Serbia for 78 days causing the deaths of thousands of innocent Serbian civilians, and destroying billions of dollars worth of infrastructure. NATO troops then occupied Kosovo and in February 2008, without any referendum, the U.S. redrew the map of Europe by recognizing Kosovo’s independence. Throw into the mix the U.S. invasion of Afghanistan in 2001, the invasion of Iraq in 2003 and the Canadian led NATO air campaign to depose Libyan leader Moammar Gaddhafi in 2011. All three of those conflicts continue to rage in a storm of violent anarchy which has resulted in the death and displacement of millions of innocent civilians. If Putin’s actions are ‘despicable’, how do we judge our own litany of recent failed military interventions? Good intentions gone bad?